Globalization has made the World much more connected. It’s much easier for people to move around and build new lives in different countries. Unfortunately, this freedom has given people more options to cheat on their taxes as well. To fight tax fraud, the IRS in the United States launched a new program to track money around the World. This program has created new reporting requirements for Americans and non-Americans alike. The Foreign Account Tax Compliance Act (FATCA) launched in 2010. This bill created new rules for Americans with financial accounts in another country. This includes bank accounts, investment accounts, partnership interests, and trust funds. Americans need to report the value of these foreign accounts to the IRS every year so the IRS can keep track. The government launched this rule to prevent Americans from avoiding taxes by moving their money overseas. Every year, Americans and American permanent residents could need to fill out Form 8938 for the IRS. This Form lets them list the information on all their foreign financial accounts as well as the amount of money they have in each account. 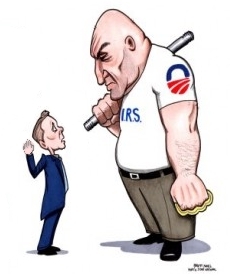 Now, the IRS is only interested in accounts over a certain size. You only need to report accounts that either were worth at least $50,000 at the end of the tax year or were worth $75,000 or more at some point during the year. If none of your foreign accounts are over this threshold, you don’t need to file under FATCA. If you do have accounts that need to be reported, you need to submit Form 8938 along with your American tax return. If you were supposed to file and don’t, the IRS could charge a penalty up to $10,000 for a failure to file plus an extra $10,000 for every 30 days you are late up to a maximum of $60,000. Criminal penalties can also apply. Foreign banks and financial institutions also need to report to the IRS. Their main responsibility is to show the IRS that they are keeping track of the tax status of their account holders so that Americans aren’t using their accounts to avoid taxes. If you’re an American and have a foreign account, the financial institution might ask you to fill out a W-9. This form reports your tax status as an American for the foreign account. Most people will be filing as an individual and will need to report their Social Security Number. If you own your foreign account through a corporation or trust, you’ll need to report the entity’s Taxpayer Identification Number. Your bank might have other requirements like they need to see your company’s articles of incorporation. Check with your institution to make sure you’ve handled everything properly for FATCA. Non-Americans have some very basic reporting requirements as well. This has confused some non-Americans who wonder why they have to fill out paperwork with the IRS while not having anything to do with the United States. They just need to report to their bank or financial institution that they are not American so FATCA doesn’t apply to them. If you need to fill out any paperwork, you’ll likely need to file a W-8. By filing this form, you are claiming an exemption from US reporting requirements because you aren’t American. Once again, your bank might have some more basic requirements, like you need to show your passport, but it shouldn’t take much to handle FATCA. Unfortunately, FATCA is just one more tax responsibility for people around the World. The good news is that the requirements aren’t too bad for most people and with a little planning you should be able to handle everything without any trouble.